Hi all. Hope everyone had a Happy Thanksgiving and ate enough turkey! 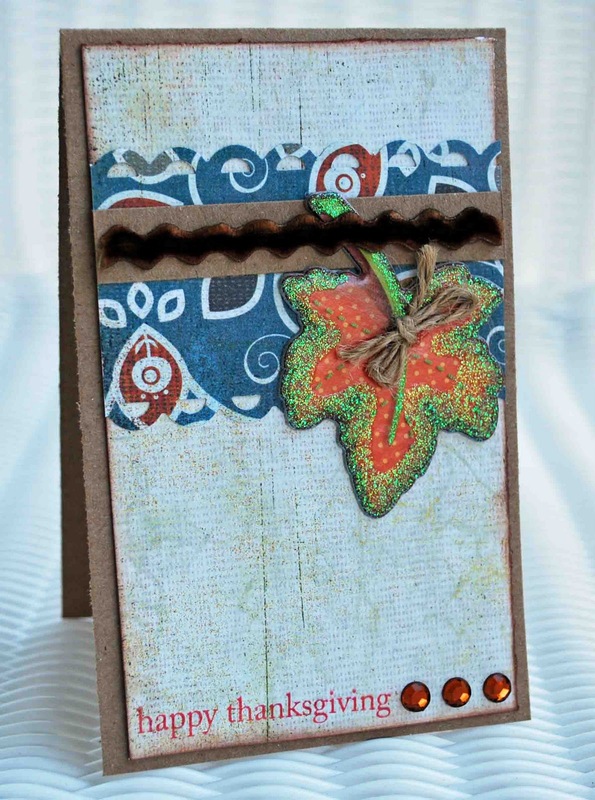 It's time for a new 4th Friday Challenge from Paper Garden Projects. This week we're thinking tags! 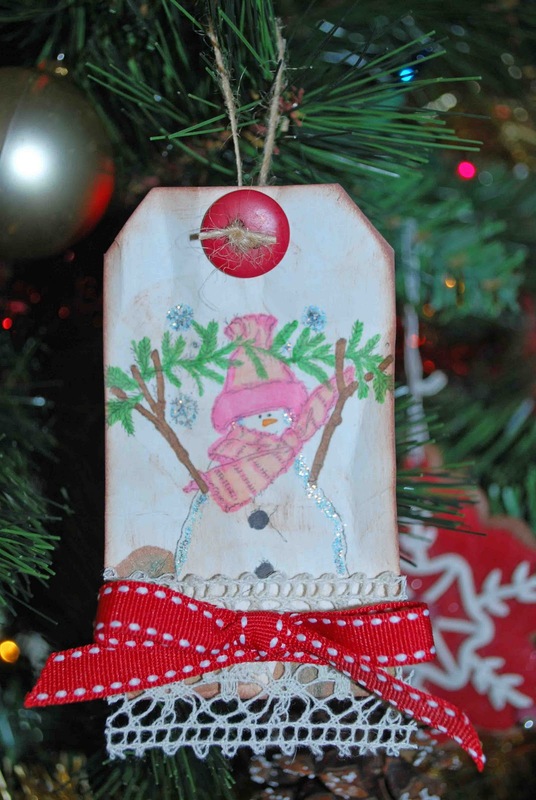 Make a tag or a project containing a tag to be eligable for a prize. 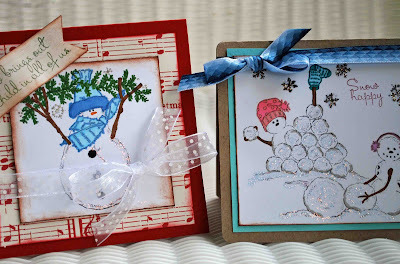 Tags are adorable on presents, but they also make great ornaments and show off your stamping skills : ) I used Snow Happy Stamp Set from Impression Obsessions available at Paper Garden Projects. I also used Copics, button, Stickles and ribbon available at PGP. I inked around the edges of my tag and then inked my actual tag very lightly. 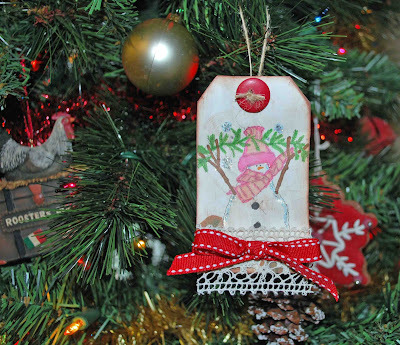 Next I stamped my image and colored it, then crinkled my entire tag. Lastly, I added Stickles for some bling. Visit Paper Garden Projects to play along with the 4th Friday Challenge and have a chance to win a fabulous prize. Happy Thanksgiving from all of us on the farm! Tomorrow starts a new challenge at Paper Garden Projects and the store kicked off Black Friday early with a 23% off sale. 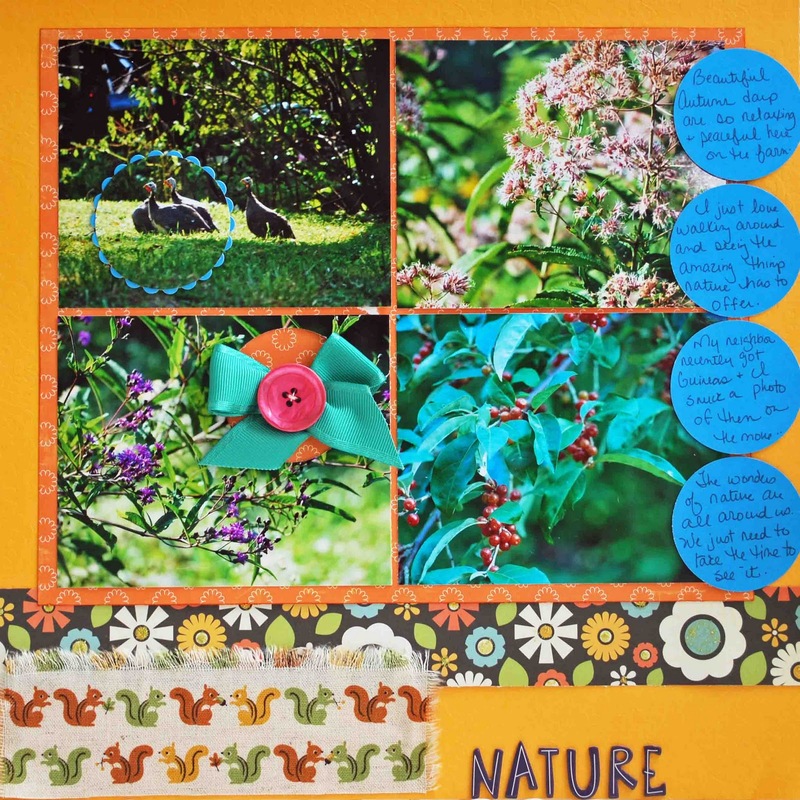 Hi everyone, welcome to the Paper Garden Projects Winter Wonderland Garden Walk. If you are looking for The Sampler Blog Hop, scroll down to my next post. 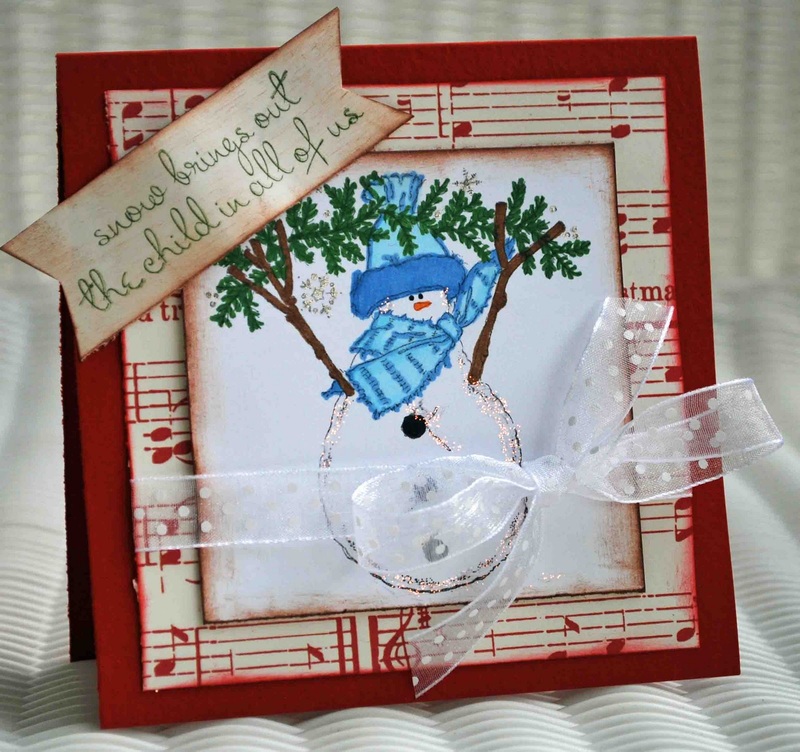 Its time for our monthly blog hop and this time we are taking you on a winter wonderland tour. Don't worry, its a short tour so you won't get frostbite. You should have arrived from Cathy's fabulous blog (if not, begin the hop there). 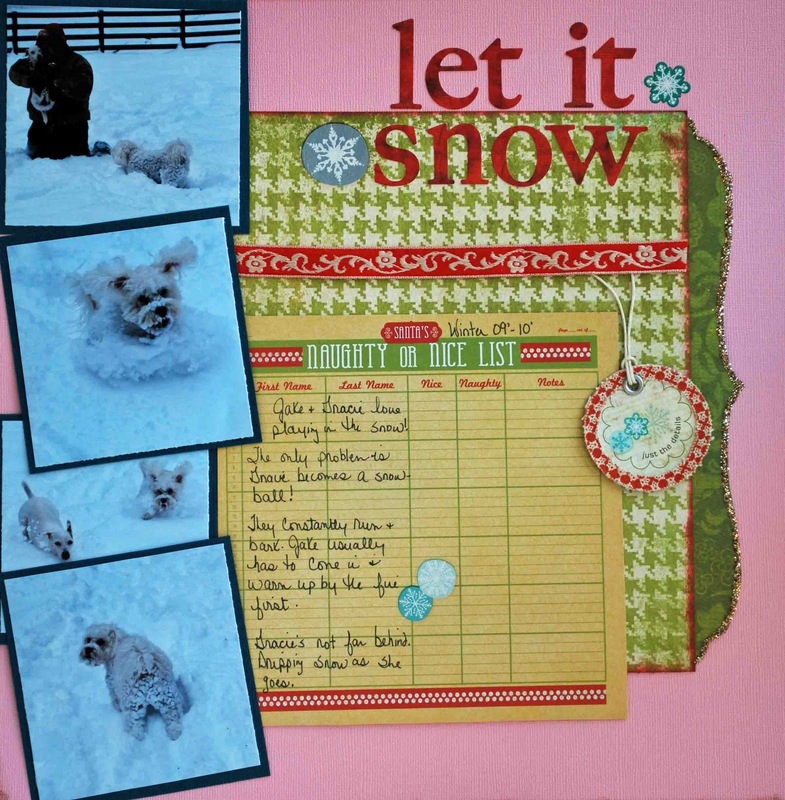 While you visit, take note of each designer's name and their special holiday treat in their blog post. Once you finish your garden tour, send an E-mail to custserv@papergardenprojects.com with the list of designers and their holiday treat. Everyone who sends the correct list of designers and decorations will be entered in a random drawing to win a prize. You need to send an e-mail to the address above; please don't leave your list as a comment. You have until midnight (EST) on Wednesday, November 24 to send your list. Now for my creations. 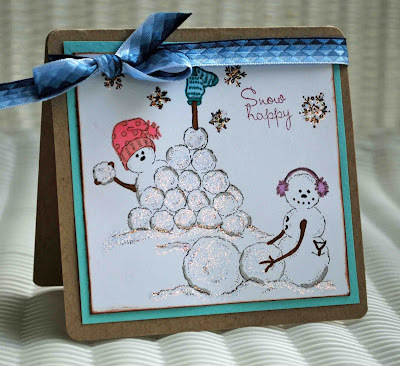 This month I got to play with the adorable Snow Happy Stamp Set from Impression Obsession and available at Paper Garden Projects. I just loved inking the corners of this card and my sentiment to make it look rustic and aged. I used Copics, Stickles, Prism Cardstock, and ribbon all available at Paper Garden Projects. My second card uses the same supplies. I went a little glitter crazy, but love the finished product. Now for my special word - oatmeal cookies. 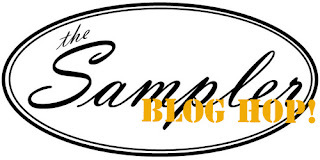 Up next on the hop is Tangii's wonderful blog. Enjoy!!! Inspiration, fun, and prizes are in your future! Falalallow us for The Sampler's blog hop and sketch challenge! 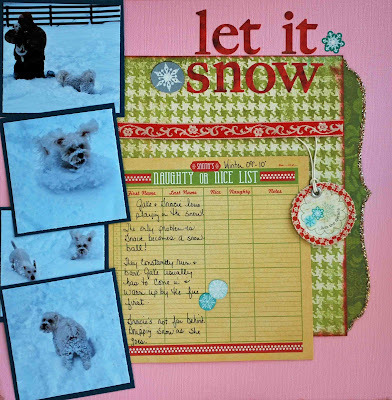 November’s kit, Falalala Yuletidings, is jammed packed with great papers and embellishments to use in and out of your holiday projects! If you just happened to stumble upon this fantabulous hop, visit Sandy at The Crop Spot to get started. 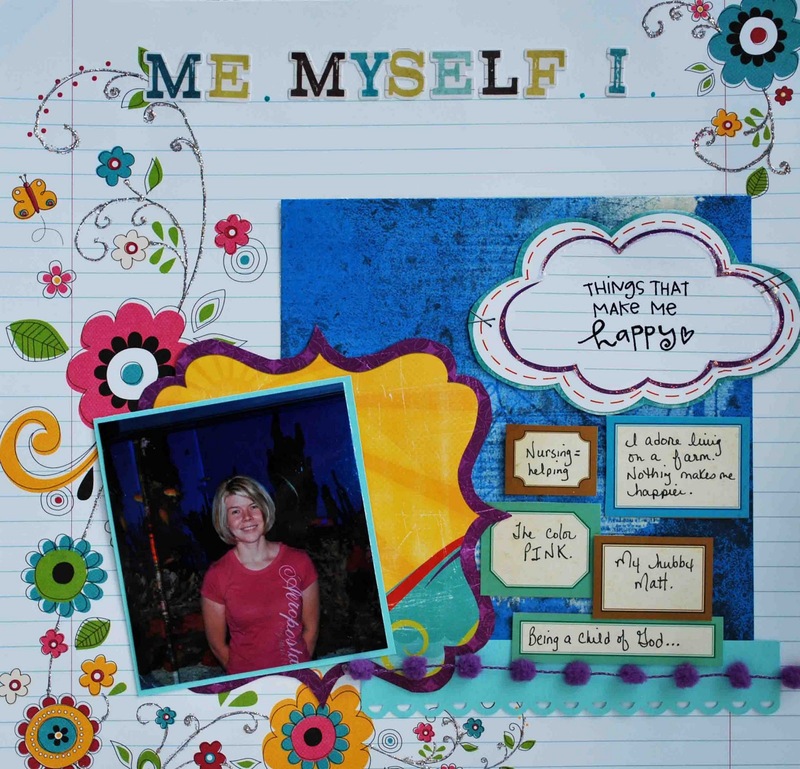 If you are already participating, you should have arrived from Alaina's beautiful blog. This is my Baby Gracie and Jake Jake playing in the snow with Hubby. Gracie, my Schnoodle, was having a blast. It looks like she has wool pants on, hehe! 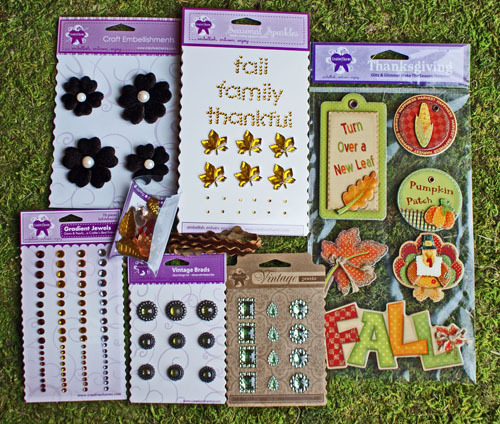 All of my supplies are avaliable in the November Sampler Kit. My Jack Russell Jake loves snow...but after a few minutes he's ready to come inside and put his Snuggie on! Last Winter all we had were endlesssssss snow storms, so this LO is near and dear to my heart and sums up last November to February. Now for the prizes! There will be a total of 16 prizes given away, including 5 full kits! Each DT member will pick 3 winners from our blog and we will also be having a Grand Prize Winner. So if you want to be in the running for fabulous prizes, here's what you have to do. Leave me a comment and tell me your favorite holiday song. We will leave comments open till November 29th and announce winners on November 30th. 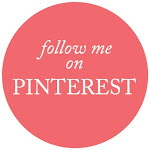 Becoming a follower is not necessary, but I would love to invite you to follow my blog. Visit Scrapbooking Supplies R Us today to purchase your Falalala Yuletidings Kit! 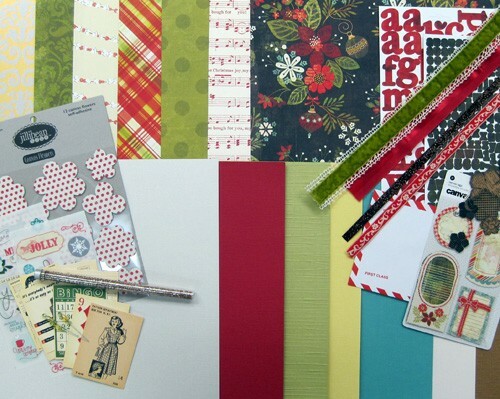 And the Sampler is also looking for their next Design Team! Details are at Scrapbooking Supplies R Us. I usually don't scrap myself, but once I got going it was really fun. My patterned papers are all Bo Bunny. Pom Pom ribbon is Really Reasonable Ribbon. And cute little tag boxes are Elle's Studio. It seems like every picture I take, my hair is a different length and a different shade of blonde, lol! Ah, isn't it fun to be a girl??? Fun Fun Fun. And a great prize, you'll have to wait till Saturday to find out. 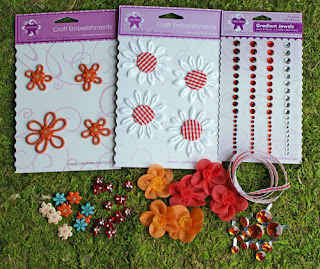 Plus on Saturday I'm also participating in the Scrapbooking Supplies R Us - Sampler Blog Hop. There will be a total of 16 prizes that includes 5 full kits. This is sure to be a busy month...Lots of crafting deadlines, Thanksgiving, a vacation (yippee), and plenty of Christmas shopping. November always makes me reflect on all I have to be thankful for, which is a long list. God has been VERY good to me! I think I'm most thankful that He has blessed me with a simple life. I thrive on farm life. Love every second of it, even though some aren't easy. We lost my little duck Cornbread this week, not easy! But it's a comfort to know he had the best life possible while he was here. I'm sure there aren't many ducks who have a skillet of cornbread made for them each nite. 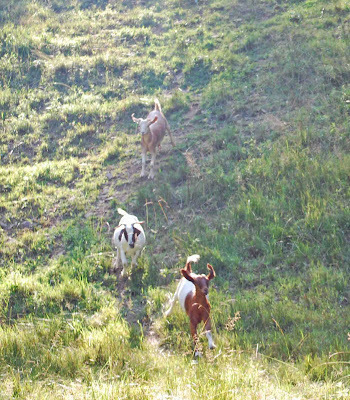 Living on a farm, you learn to give and take, but I wouldn't change things for the world. 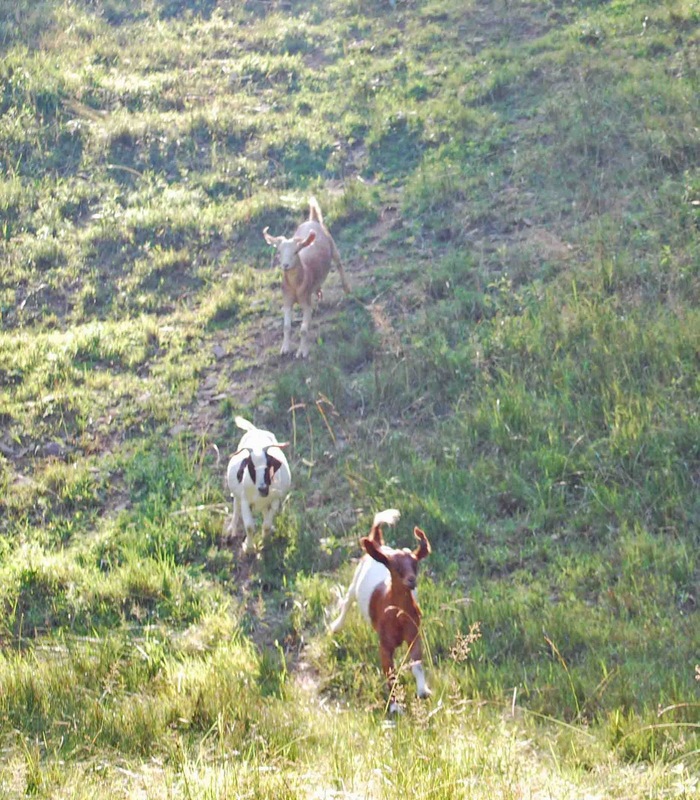 I love this picture of my goats. They are so happy and carefree. That's how we all should be. 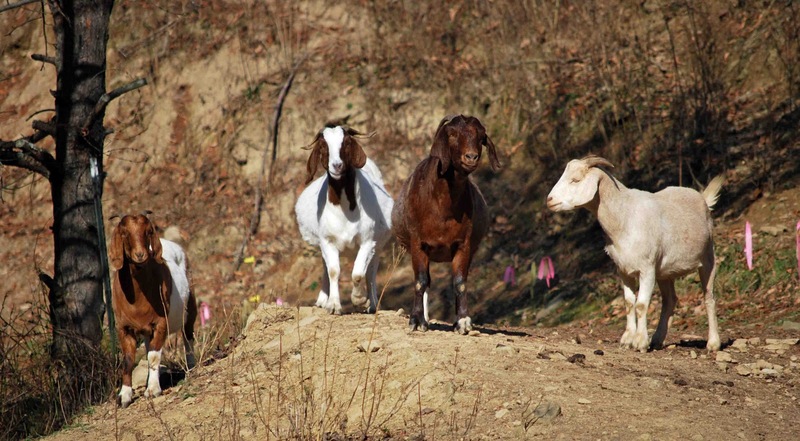 My little goat Cinnamon (in the front) almost died TWICE this year! We've started saying she has 9 lives! I'm very thankful she's still with us and as happy as ever. And I have a new Winter Goal. I want to learn to sew. I'm a crafty person, why do I destroy every sewing machine I look at? There are so many fabulous sewing blogs and I REALLY want to learn. 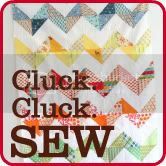 Check out Cluck.Cluck. Sew. Too cute! So wish me luck, I'll need it. I used Basic Grey patterned paper, my Fiskars punch, and Papertrey Ink stamp. My bling, ric rac, and leaf are all from Creative Charms Kit of the Month - Fabulous Fall. 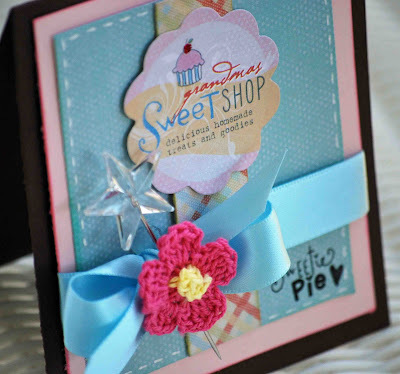 Love all the goodies included in this kit! Is he not the cutest little guy in the world??? 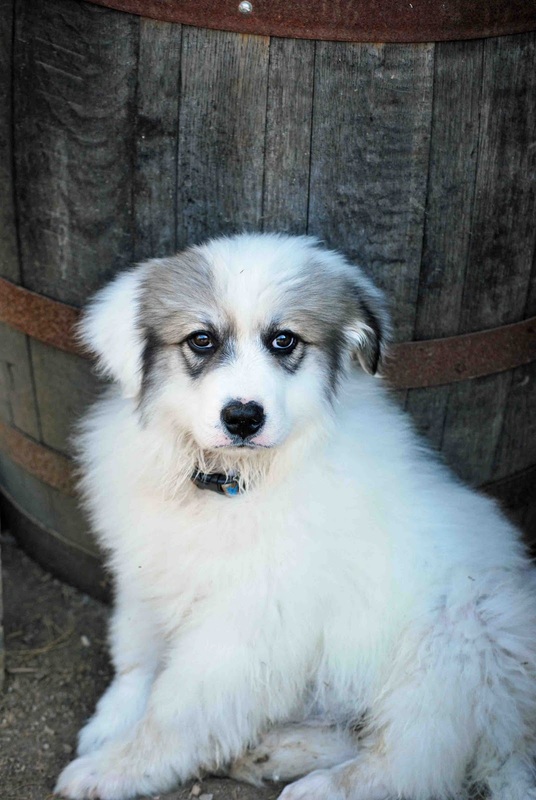 He is a Great Pyrenees and our "goat dog in training". Boots our older GP is so happy to have a puppy all of her own! Brisco weighed in at 20 lbs at his 9 week vet visit. He's going to be a BIG BOY! Hi guys. Thought I'd warn you in the post title, got lots of information tonite on exciting scrappy news, blog hops, and a card or two. It is such a beautiful kit that includes all the latest and greatest holiday papers, rub ons, and embellishments. 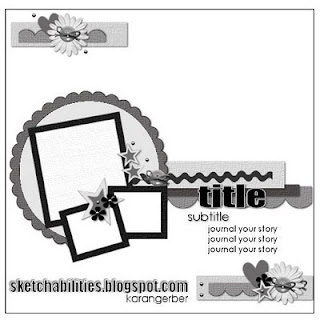 And we want you to falalallow us for The Sampler's blog hop and sketch challenge! 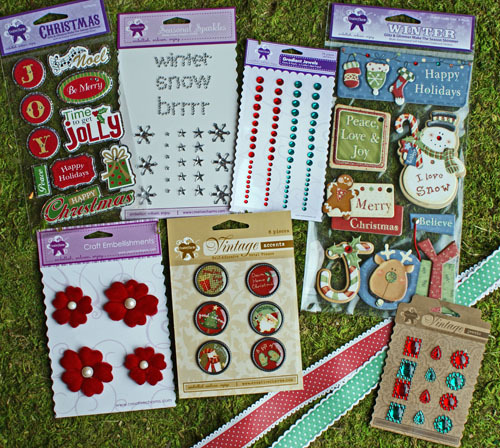 November’s kit, Falalala Yuletidings, is jammed packed with great papers and embellishments to use in and out of your holiday projects! 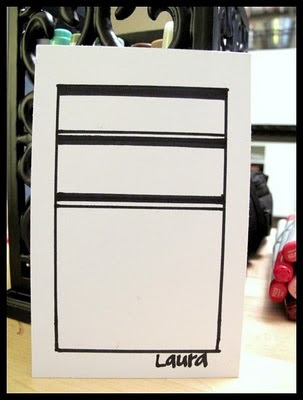 To jump start some creativity with your holiday projects, we have a great sketch that can be kept super simple or made as extravagant as you fancy! 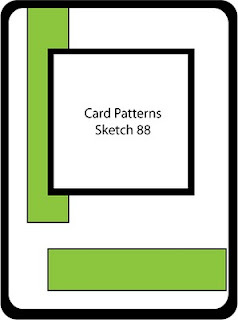 On November 20th, 2010 Design Team member Sandy will be kicking our hop off at The Crop Spot with links and our sketch! Be sure to check out her post to get more details on the blog hop and check out the sketch! We have some AWESOME prizes lined up for this hop no matter what your participation level is! There will be a total of 16 prizes, including 5 full kits to give away! 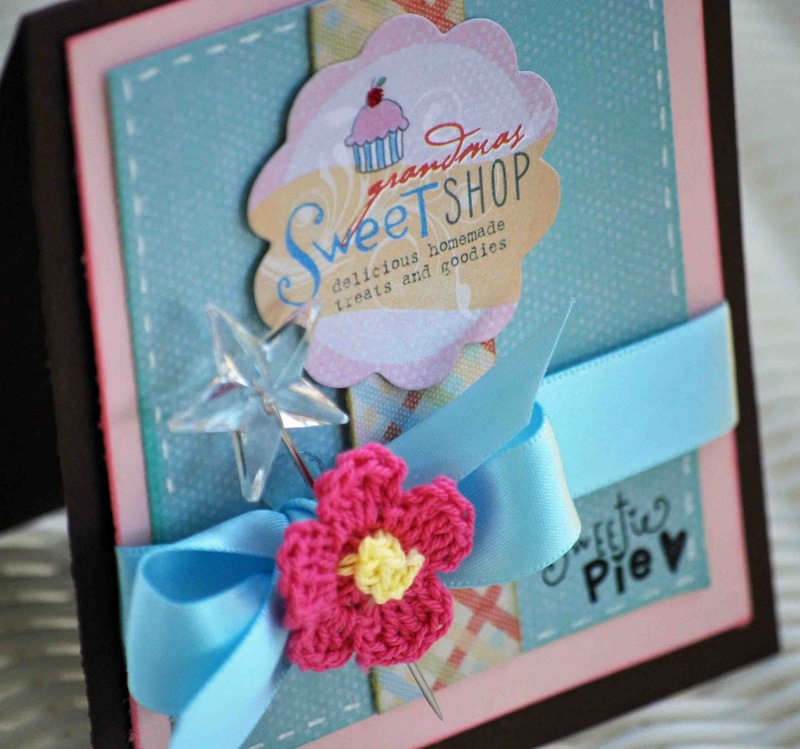 And the Sampler is currently having a DT Call for the next Sampler Design Team, check it out. 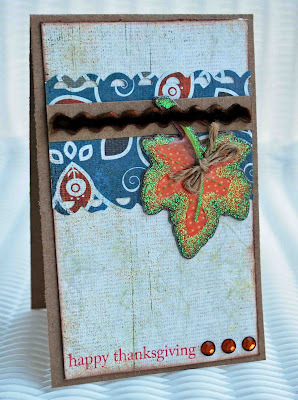 Now for a card I made with October's Sampler Kit. I loved this kit! Such a fabulous deal and great embellishments! Visit Creative Charms to get your "Deal" today! I love lazy days. 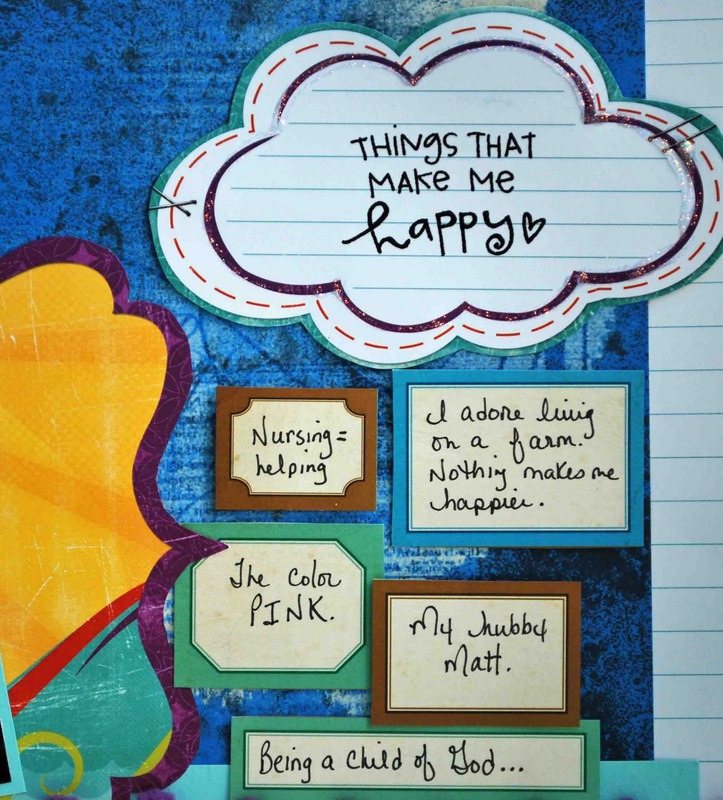 Sure there's LOTS I "should" have been doing, but I wanted to craft my day away...so I did! I've got 2 cards to share that I made for challenges. I've been so excited to use my Kitsy Kitchen products from Melissa Frances, and this was the perfect chance! 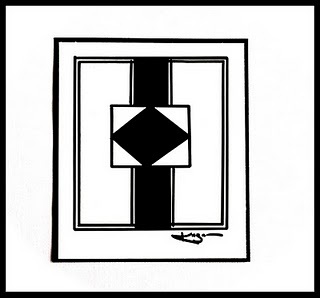 My cardstock is Papertrey Ink and Prism. My patterned papers, stickers, and rub on is Melissa Frances. I used Mays Art Ribbon. 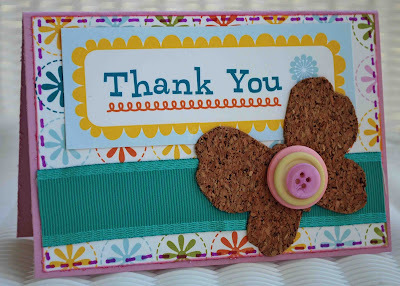 And my fab little crochet flower is from Creative Charms. 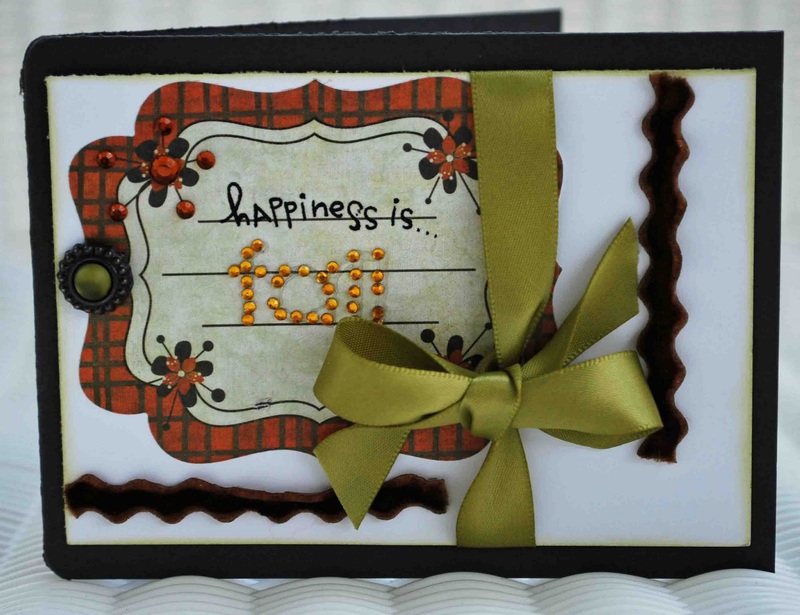 I added some faux stitches and this card was complete. 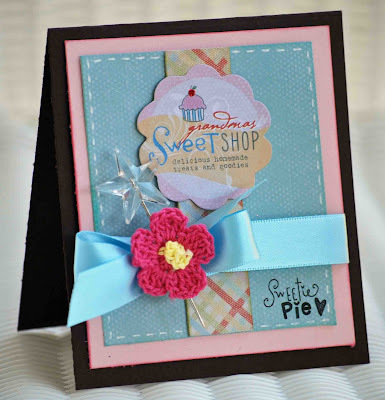 I also added this card to A Spoon Full Of Sugar's Embellishment Challenge. 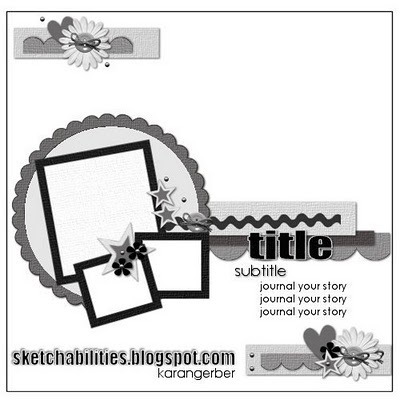 My cardstock and ribbon is Papertrey Ink. My sticker is Basic Grey and rub on is Melissa Frances. My Ric Rac, Fall bling, and jewel is Creative Charms. Oops! Forgot to take the stethescope from around my neck, hehe. 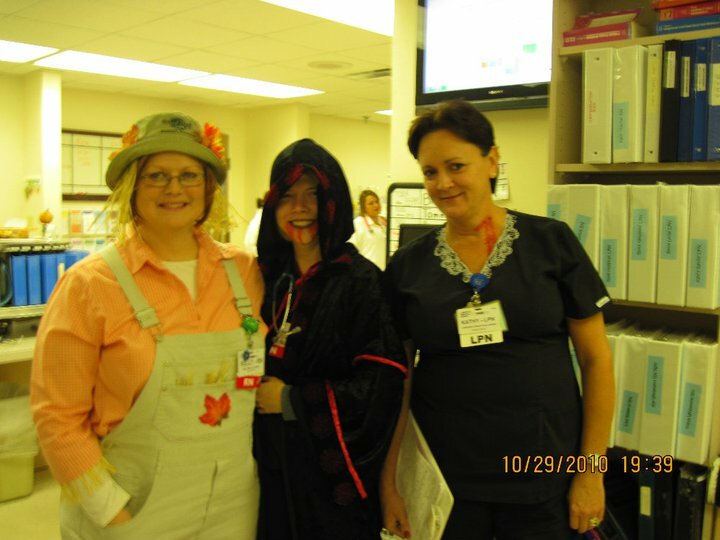 We love tricks and treats at work, so we have fun during October. 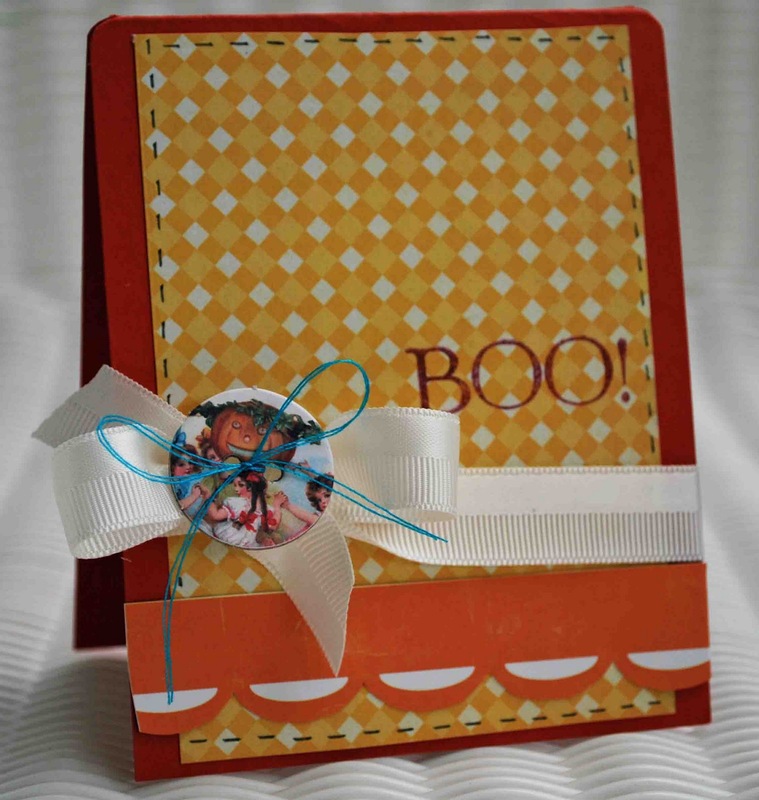 Both creations were made using my October Sampler Kit from Scrapbooking Supplies R Us. I just love that their kits include goodies for both card makers and scrappers. For my LO I decided to use my much neglected circle punch and experiment. These are just a few pictures of Autumn at my house. 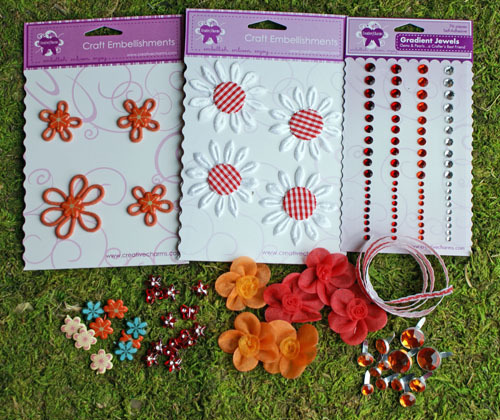 Visit Creative Charms to buy your kit! Enjoy!